You may remember my November post highlighting the initial results of a financial survey conducted by BDO Canada LLP. These findings offered a trove of valuable information on the wealth management journey for Canadian business owners. They confirmed much of what I had been hearing in conversation with clients but also offered important new insights. The financial survey produced such robust data that BDO created two reports. The second one — The Retirement Planning Report — is now available as a free download and reveals additional insights on how all Canadians manage their wealth and plan for retirement. The survey that produced these two reports has strong ties to The Blunt Bean Counter. Many of you took part in this study — thank you very much for your tremendous participation and input. Some of you received a free copy of my book Let’s Get Blunt About Your Financial Affairs as a token of thanks for responding to the questionnaire. In total, almost 1000 Canadians took part in the study. Summer beckons from just around the corner. For those taking time away from the office, the break provides a great opportunity to reflect on the big picture: how we envision retirement, how our finances align with that vision, and where family fits into the picture. This new BDO report will help you focus on what matters to you in retirement and on your preparedness. Jonathan Townsend, the National Wealth Advisory Services leader for BDO Canada LLP, provides a synopsis of the report in his guest post below. 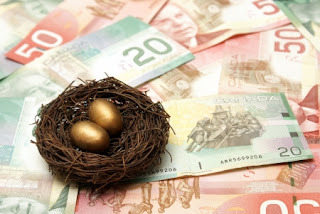 In conjunction with the BDO report, you may want to read, re-read or reference the six-part series I had on "How Much Money do I Need to Retire? Heck if I Know or Anyone Else Does!" The links for the blog posts are down the right-hand side of this page under the Retirement heading. Retirement sometimes appears to Canadians as a moving target. Like all plans for the future, it depends on variables that we can’t fully control. We do our best to cover all the circumstances, but life intervenes and renders our financial plans out-of-date. That is why expectations play such a large role in successful retirement planning. In the 1980s, many Canadians believed their investments would support retirement at 55. Today’s pre-retirees have adjusted their retirement dates upward to fit the changing times. The average age of retirement climbed from 61 in 2005 to 63 in 2015, according to Statistics Canada. BDO’s new Retirement Planning Report reveals valuable data on a topic that can be difficult to access: how Canadians themselves see retirement. By turning the spotlight on expectations, we can better understand the entire planning process. On preparedness — About half of survey respondents have prepared a financial plan. Of those respondents with a plan, almost three-quarters had a professional advisor prepare the plan. On health care — Long-term health care placed second on the list of respondents’ retirement concerns, but almost 4 of 5 of respondents have done nothing to prepare for health care costs in retirement. On family — Canadians in the so-called sandwich generation raise their children while looking after their parents. Fifteen percent of respondents in our study say they are supporting their parents financially. As longevity continues to increase, Canadians may need to calibrate their retirement plans to account for both slices of bread in the family sandwich. Rob Carrick of The Globe and Mail found this topic of interest, especially the fact that 10% of Canadians support both their parents and children and discussed the study here in his Carrick on Money newsletter. On pension plans — Companies have shifted more of the savings burden to employees by moving to defined contribution plans. In the longer term, more and more Canadians may have no employer-sponsored plan at all. Contract and part-time work are accounting for a larger share of the labour market. The findings and strategies highlighted in the report provide actionable tips that you can incorporate into your own successful planning. I invite you to download the report here. Jonathan Townsend is the National Wealth Advisory Leader at BDO Canada LLP. If you have any questions, please contact him at 519-432-5534 or jtownsend@bdo.ca.